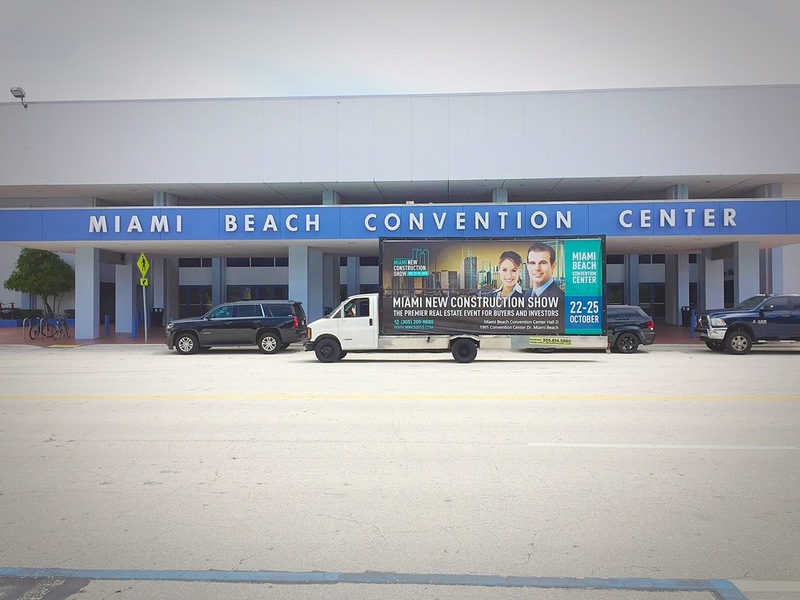 Mobile Billboard Miami has once again had the great opportunity of working with returning client "Miami New Construction Show" for a second year in a row. MNCS is the only specialized Real Estate Event that will be a unique exhibition to help condo developers pitch their projects to a crowd of potential buyers and create a marketplace where buyers meet sellers and industry service providers. There are three aspects on the Show's agenda - to showcase, to educate and entertain. MNCS is targeting consumer thought out Miami Beach , Downtown Miami , Wynwood , and Broward County.